The very existence of the new Nissan Pathfinder tells us something significant. Nissan is getting out of volume and into niches. Nissan’s X-Trail has outsold its Primera and been much more profitable because it has sold at much closer to the list price asked. And demand for used X-Trails is even greater than for new ones, keeping used values so high that I am now seeing them selling at auction at a higher percentage of their new prices than same age, same mileage BMW 320dSEs. So, unsurprisingly, one of the directions Nissan is following is the off-road route. Late last year saw the introduction of the extraordinary Murano, a Lexus RX300 competitor with a detuned Nissan 350Z motor. The enormous V8 Nissan Titan is by far the best big pick-up to drive and is also hugely capable off-road. 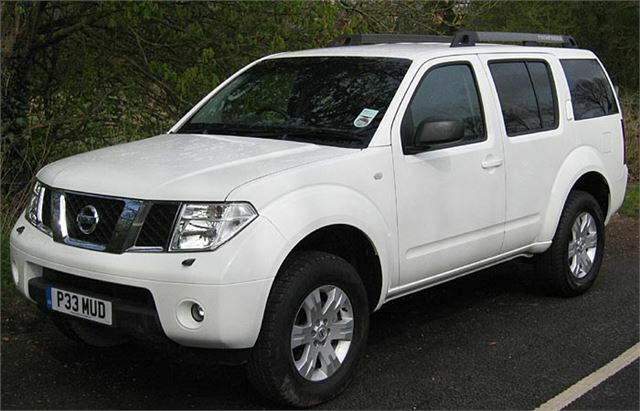 Later this year we’ll get a new ladderframe chassis Navara pick-up. And now, to grab a fat chunk of the 7-seater 4x4 school bus market, Nissan presents us with the large and perfectly formed Pathfinder, also on a tough ladderframe. It’s roughly the same size as the Discovery 3 and does pretty much the same job at prices starting £5,000 lower. 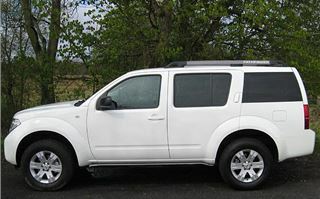 These days £25,800 isn’t a lot to pay for this much vehicle and, as with the X-Trail, Nissan stands a good chance of not having to discount. Before I drove it, Nissan’s man showed me round the multiplicity of different ways the seven seats can be folded. 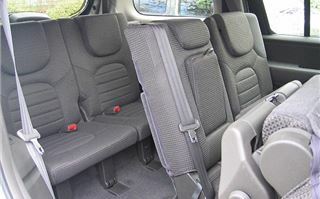 First thing, the outer two seats of the centre row bi-fold at the pull of a handle, so access to the rearmost pair is very good. 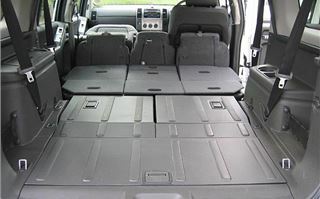 The centre outer seats and the middle seat also fold squab-forward and back down so that when the rearmost seats are also folded you can achieve a huge, flat and reasonably low load deck and a volume of 2,091 litres. 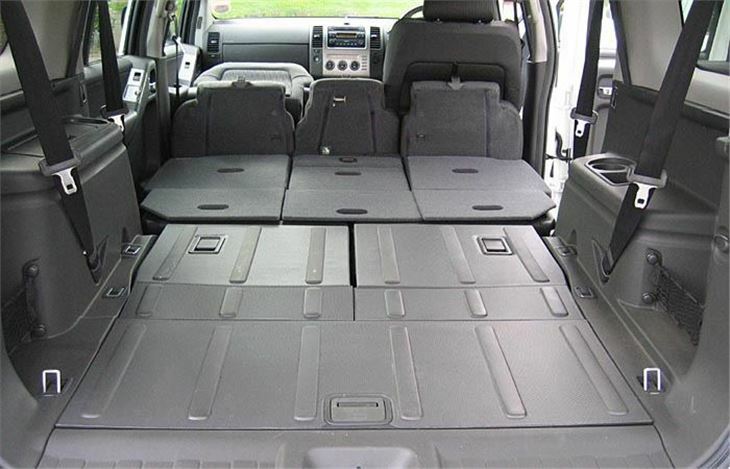 The front passenger seatback folds forwards for carrying objects up to nine feet long. 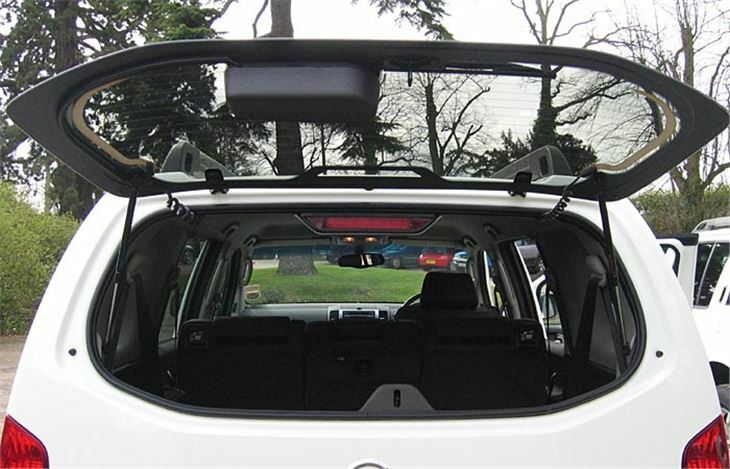 And even with all seats up there is reasonable luggage space behind the rearmost pair, with a net to keep everything in place. 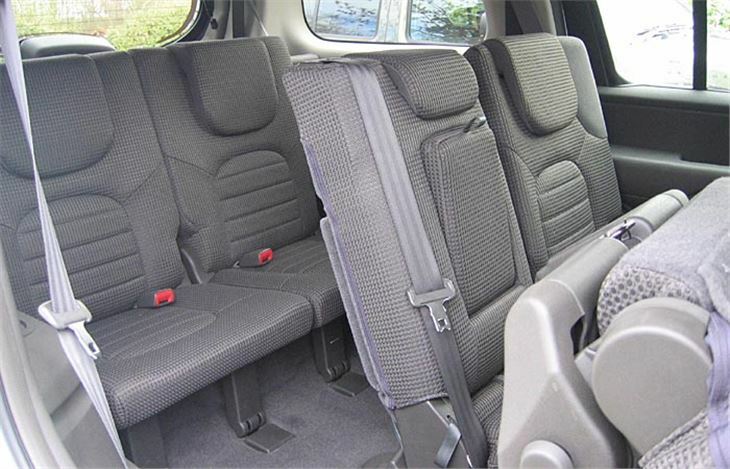 However, unlike the Discovery 3, those rearmost seats are strictly for kids because an adult cannot get his or her feet under the seats in front. Climb up using the substantial grab handles front and back and it’s easy to get comfortable. 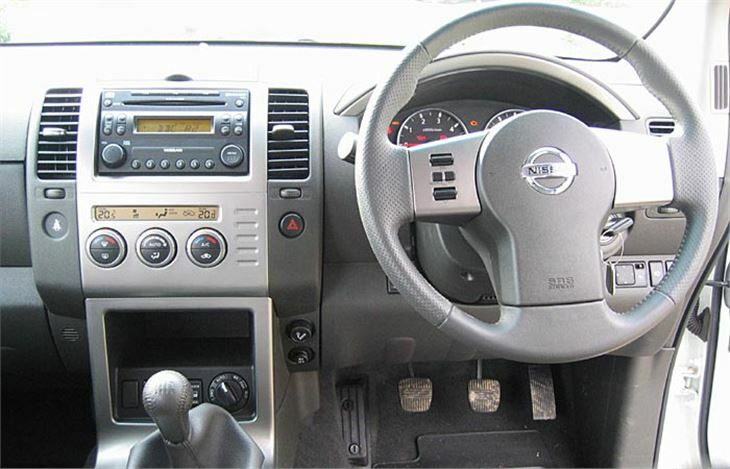 The driver’s seat has plenty of adjustment and the steering wheel goes up and down. Start the engine and you hear a fair bit of diesel clatter, but that’s what you expect from a vehicle like this. The 6-speed box has a long, slightly floppy lever but selects its well-chosen set of ratios very well. Steering is pleasantly light, yet not over-assisted. 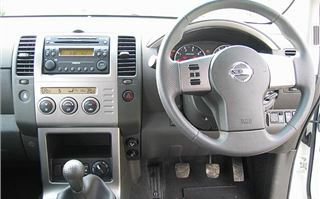 For driving on the road, you can choose 2WD which directs drive to the back wheels, or ‘auto’ which does the same most of the time, only calling on drive to the front wheels if any start to slip. It handles extremely well and diminishes its own size. None of that boat-like roly-poly stuff that older ladderframe 4x4s subject you to. And, just like the X-Trail, the gear ratios are perfectly matched to the engine power and torque, so whatever sort of gradient you are on there’s a gear that enables the Pathfinder to romp up it. The 2,488cc development of the X-Trail’s 2.2 diesel is also very pleasantly smooth, eager and free revving. On spec, you’d think 2.5 litres was too small for a vehicle of this size. But it churns out a very healthy 174PS at 4,000rpm and 297lb ft torque at 2,000rpm so actually has more grunt than a 3.0 D-4D LandCruiser and offers it to you much more willingly. On the road 0-60 is 11.2 and you can actually see a top speed of 109mph so it’s no slouch. Naturally on a launch like this, an off-road course was included. 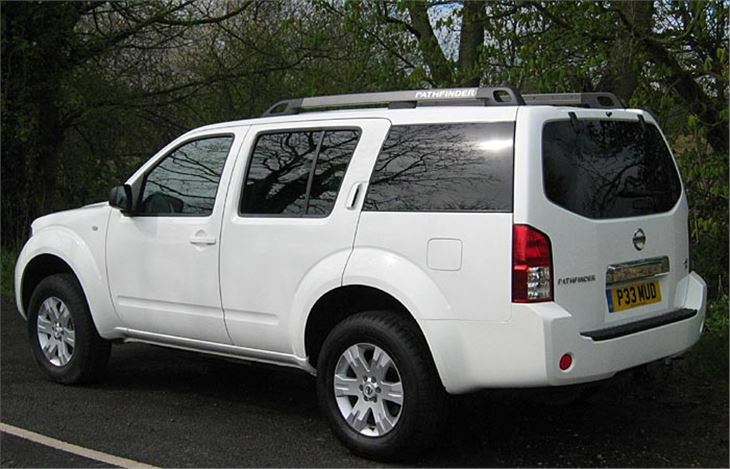 The Pathfinder simply romped through most of it, including the deep, muddy ruts, in high ratio four wheel drive which locks drive to the front and rear wheels. For the really tricky stuff, you have to stop and engage low ratio four-wheel drive, and that enables the car to negotiate impossible descents that would require abseiling gear to do on foot. Ultimately I have no doubt that a Discovery 3 would beat it, but you are hardly likely to meet these conditions taking 6 kids to school. So does it get the nod? Emphatically yes, because it’s a huge 7 seater 4x4 that does all it is supposed to, is also very good to drive on the road, promises over 30mpg and at £25,800 is very good value for money. But if you need a 4x4 to take 7 adults any distance, you are going to have to fork out the extra £5,000 for a Discovery 3.